I received product to review through partnership with Alurent. All the opinions included in my review are my own. With just under a year before I hit the big 4-0, I consider myself pretty lucky when it comes to my skin. It’s all thanks to my grandmother, who passed on her fabulous skin to all the women in the family. 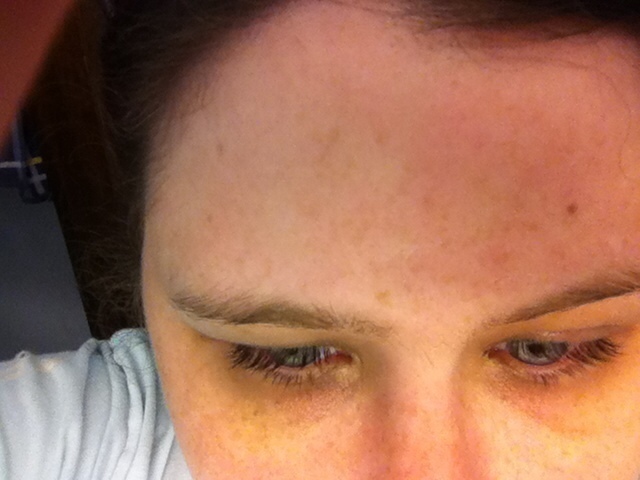 Still, I have noticed these lines in my forehead that weren’t there 20 years ago! I’m not thrilled with this at all! The problem is, I just don’t have the dedication to a complicated anti-aging skin care routine. I want something that works when I want it to work. I honestly didn’t think such a product existed until I tried out Alurent Anti-Aging + Instant Erasure Serum, a patented, new skincare product that tightens skin to visibly lift as it smoothest creases and wrinkles. It was the “instant erasure” part that intrigued me. Before now, I just “erased” my wrinkles in post-processing! Great for photos, but not so much for the real world. After taking that picture (in my bathroom, under horrible lighting, no less! 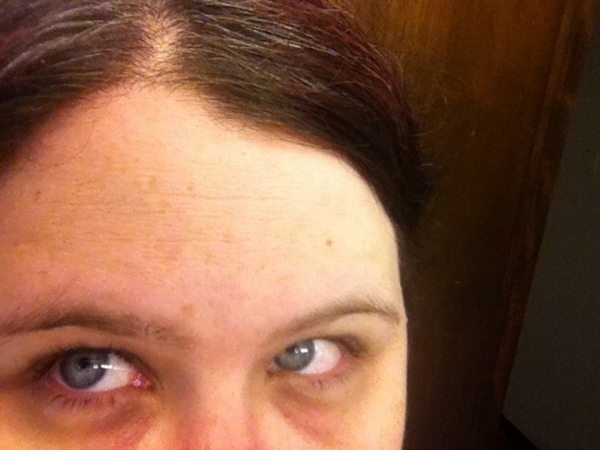 ), I swept a bit of the Alurent Anti-Aging + Instant Erasure Serum across my forehead and waited. You can actually feel it working. I noticed a bit of a tightening feeling while I waited for my 90 seconds to be up. Then I took my after picture, again in the same horrible lighting and without makeup. Can you see the difference? 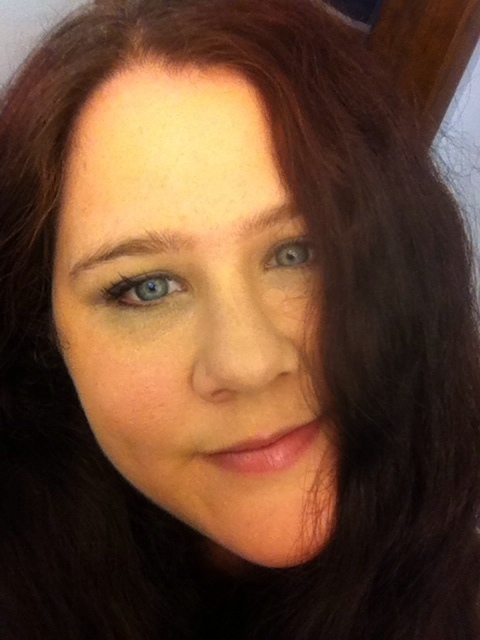 Those are totally natural, no-makeup shots, as evidenced by the dark circles under my eyes that I had yet to cover! Once you let the Alurent Anti-Aging + Instant Erasure Serum do its job, you’re ready to put on your makeup. Yes, you can wear it under your favorite makeup without any issues. Anyone else not know where to look when taking selfies? 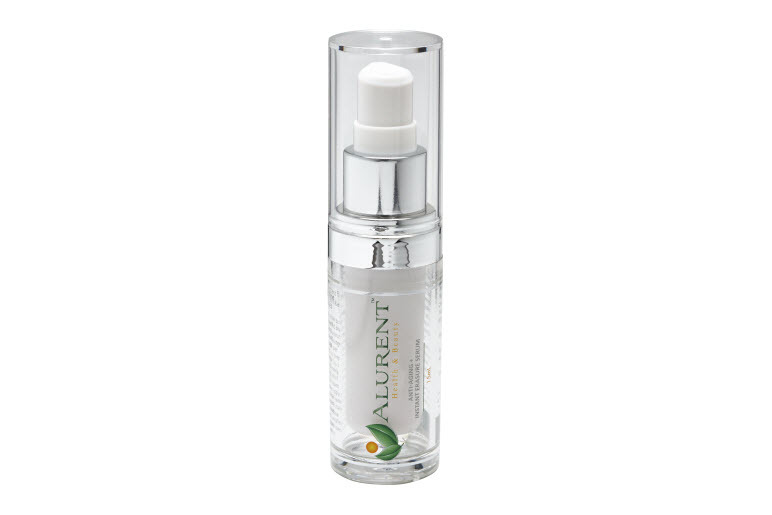 I find the Alurent Anti-Aging + Instant Erasure Serum incredibly convenient and easy to use. I love that I don’t have to wait weeks to see results. I also love that, even though I have somewhat sensitive skin, it doesn’t feel irritating at all. Here’s the great thing: The combination of carefully chosen ingredients in Alurent Anti-Aging + Instant Erasure Serum not only have an instant effect, but, when applied daily, will help the skin regain a radiant and younger appearance over time! Learn more about the Alurent and the Alurent Anti-Aging+ Instant Erasure Serum, then enter the code SHOP50 at checkout to purchase Alurent Anti-Aging+ Instant Erasure Serum for $50.00 plus free shipping. It’s normally $79.95, so this is a great deal! Plus it comes with a Risk-free 14 day money back guarantee. For a limited time, use the special shopping code SHOP50 to discount your purchase of new Alurent Anti-Aging + Instant Erasure Serum to $50 plus free shipping at http://www.alurent.com/alurent-anti-aging-instant-erasure-serum.html. This is more than a $30 savings!